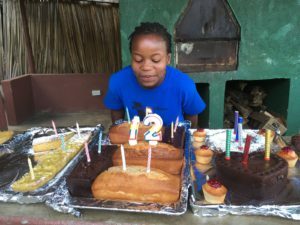 Today marks the 12-year anniversary of Malayaka House, and thus the 12-year birthday of our precious Malayaka, for whom our home was named. We are celebrating this wonderful milestone and accomplishment today, and we want to share the joy with you, our friends around the world. When Robert Fleming befriended a pregnant woman 12 years ago, he had no idea that this encounter would lead him to where he is today. 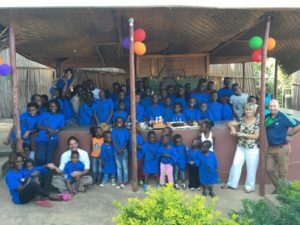 Malayaka House is now home to more than 40 children, five aunties, and extended family members located all over the planet. This year has been a good one. We welcomed a new baby, Sam Owori. Our bright, motivated Viola was our first to go to university. We added a dental clinic, made great progress on our safari business, and saw two of our girls go to the rugby championships. 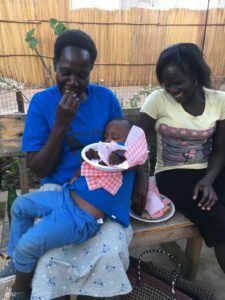 We have 32 children enrolled in school, a growing farm and thriving pizza restaurant, and an extraordinary partnership with embraceKulture, an organization that helps children and adults in Uganda who are living with disabilities. And we couldn’t have done any of this without your support. Each year, we rely on funding from generous donors, foundations, and monthly sponsors. We hope to one day generate enough income from our businesses to no longer rely on charity, but we have a long way to go. We are not exaggerating when we say that without YOU, there would be no Malayaka House. We cannot thank you enough. So please, join us in celebrating today. We love you all. Happy 12 years to us!!! !